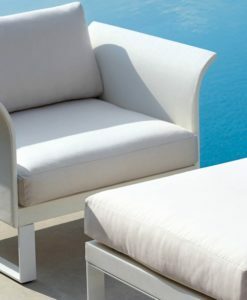 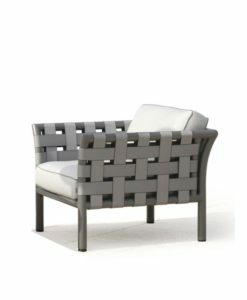 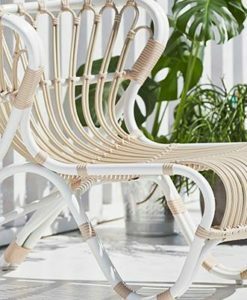 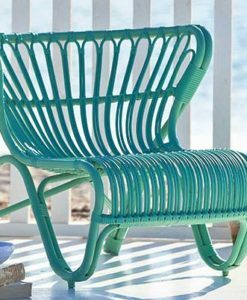 With its airy modern design, sitting on this will have you feel like you’re in the clouds. 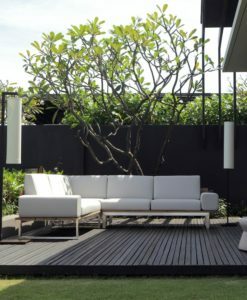 Its simple yet daring, this screams come have a seat. 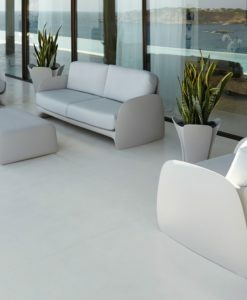 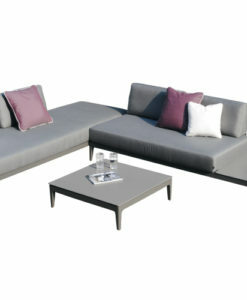 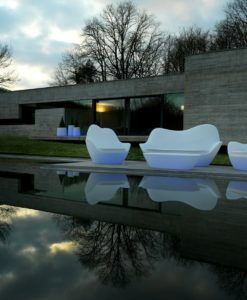 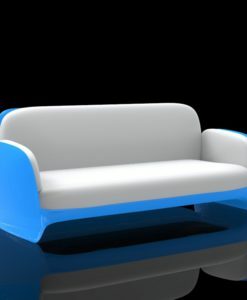 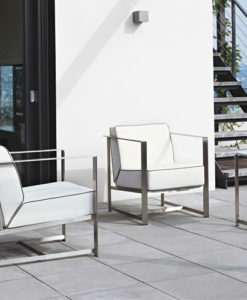 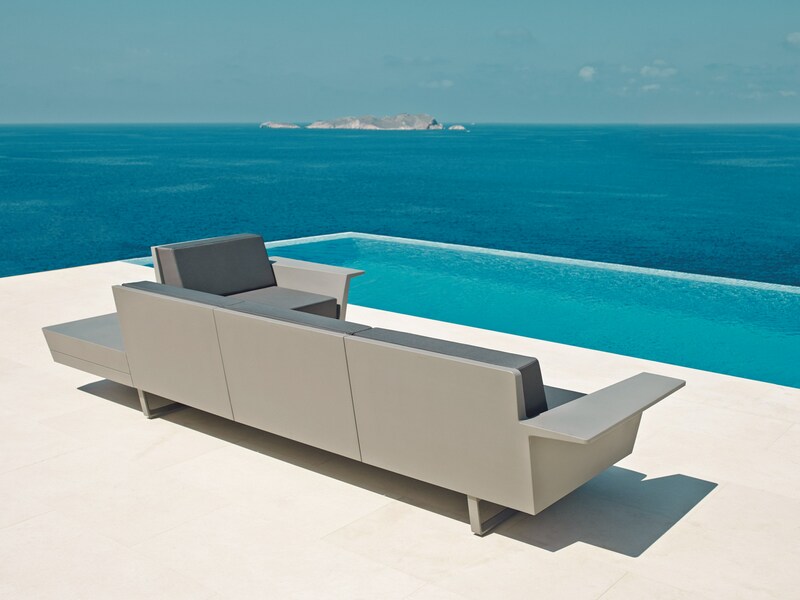 Modern Vondom Aluminum Flat Modular Sofa comes from the Flat collection. 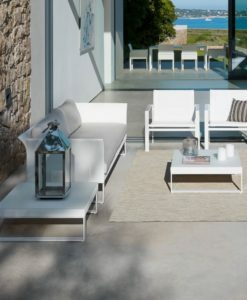 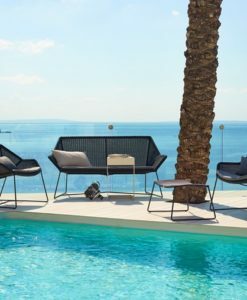 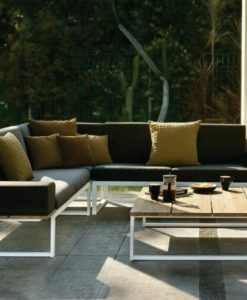 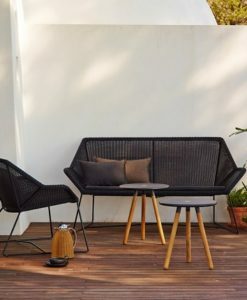 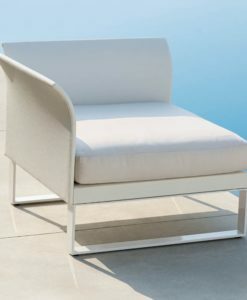 The FLAT Collection is made up of various pieces that can be used to form exterior lounge areas, but are also adequate for interior ones, thanks to their neutral shapes that are still full of identity. 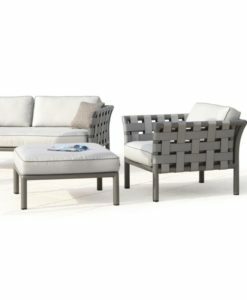 One of the characteristics of this set is that it looks light, because it rests on the floor on beautifully formed aluminum legs which give the object an appereance of virtually floating. 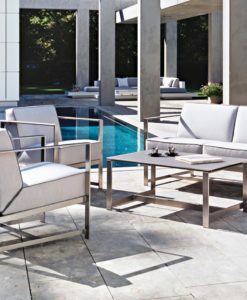 Another distinctive charcteristic is the side table joined to the main unit, which at the same time is an armrest and a surface to lean on. 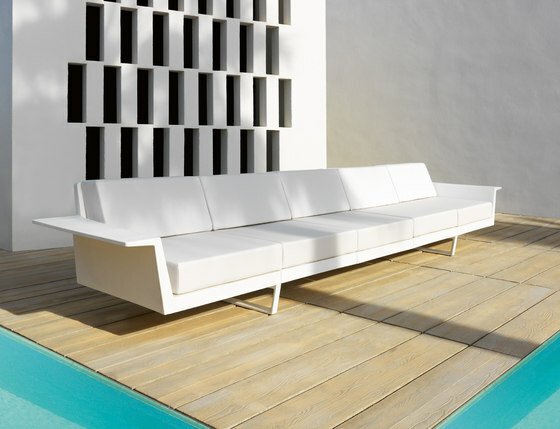 It’s build allows for making different combinations of pieces, to adapt them freely to any architectural space. 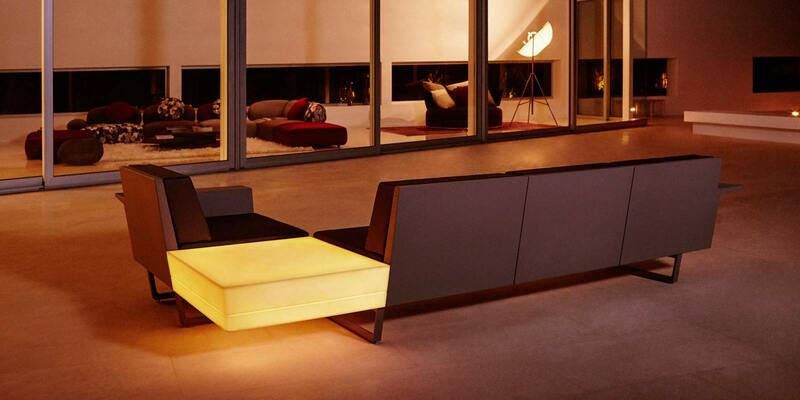 With the corner unit it is easy to fit into angular spaces.